How does Hi voicemail work? 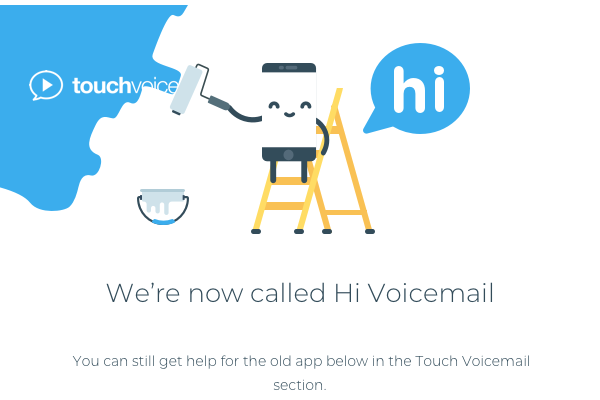 Will Hi Voicemail save me money? Why doesn't Hi work on Prepay or Pay-as-you-go plans? During sign up I got an error when I activated - why? What is the difference between FREE and PRO? How do I remove Touch Voicemail and reactivate my carrier Voicemail? What if I travel overseas? How do I add my own Greeting? How do I play messages through the earpiece? What are the steps to Activate my Touch Voicemail? Who is behind Touch Voicemail? USA: How do I revert to my carrier voicemail?